High quality and economical price make these tape bound watercolor pads perfect for students and beginning artists. 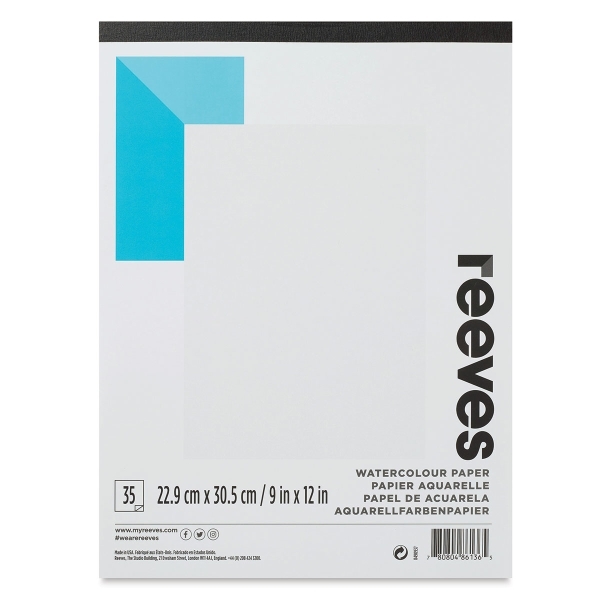 Each pad contains 35 sheets of 90 lb (147 gsm) watercolor paper. Shipping Note — Due to manufacturer distribution restrictions, Reeves products cannot be shipped to addresses outside of North America.